Enjoy this great video to know the key points about Oracle Sharding! Oracle autonomous database is really autonomous.. you do not have full DBA control..!! In a big conversation I had many months ago with Andrew Holdsworth ( Vice President of Real World Performance at Oracle Corp. ) he clarified me how autonomous works inside.. it’s very simple.. no indexes.. no any complex objects to speed up.. just the everything rely on the huge power of exadata.. + artificial intelligence, machine learning, and blockchain technology into its cloud-based services. Exadata reads huge quantity of data so fast..
Exadata writes data so fast..
Exadata communication is so fast.. the disks are so fast.. So.. the autonomous concept is very simple.. use the HUGE POWER of exadata to process in a plain mode.. + ( advanced techniques of artificial intelligence, machine learning, and blockchain technology ) and you will have great predictable results.. simple like that.. that’s why in autonomous you can not create indexes or any other structure that affects a kind plain processing mode..
that;s why in autonomous.. you do not manage the database parameters.. etc.. it’s just to use the big BULL to drag the load.. simple like that..
See vestiges of that concept in this article. Click the image or the link down below. First Impressions of Oracle Autonomous Data Warehouse Cloud..!! 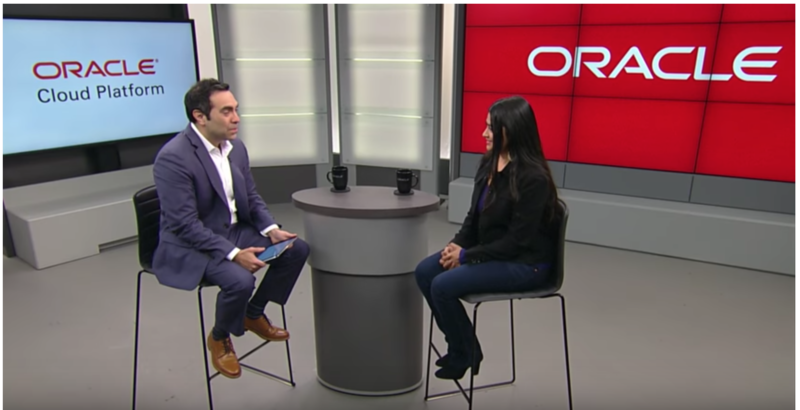 Oracle 18c: Your Autonomous Future: A Panel Discussion..!! Enjoy Watching: Larry Ellison Unveils the Autonomous Future..!! 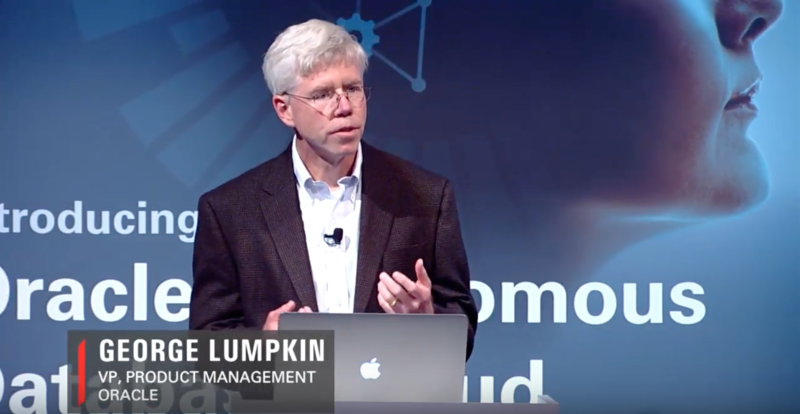 Oracle is redefining data management and analytics – and the benefits for you and your customers’ businesses are revolutionary. 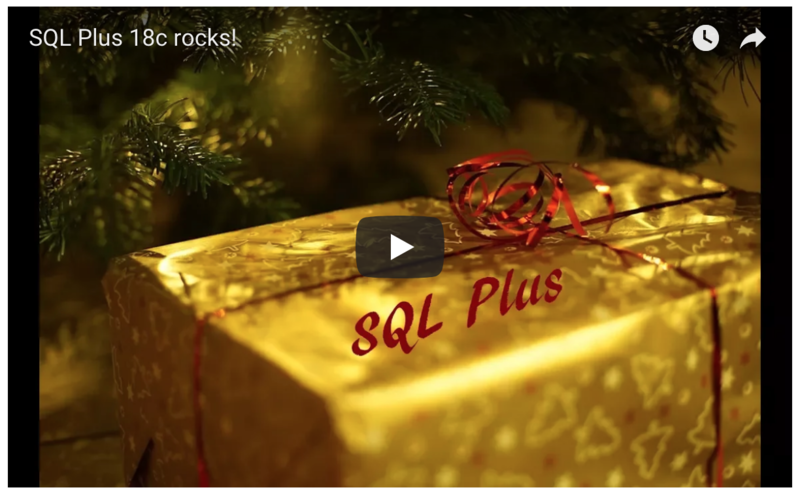 Do you know how to cancel a single SQL command in Oracle 18c ? All current Oracle databases have an upper limit on the SCN according to Oracle’s kernel design, the upper limit is the second’s difference between the current time and 1988/01/01 then times 16k. For some specified high version database (11.1.0.7.20, 11.2.0.3.9, 11.2.0.4. *, 12.1.0.2 and above), the current value of this limit is calculated by the algorithm whose main factor is SCN COMPATIBILITY. Through this parameter,the value of SCN won’t exceed the upper limit, and DB Link between databases works well. However, the SCN COMPATIBILITY of these high version database will be adjusted from 1 to 3 after June 23, 2019, meaning the maximum growth rate will reach 96k, which may result in the situation that the upper limit of high-version DB is much higher than the low-version databases.so when that happens, Low version database cannot connect with high version through DB Link. 2. Which are high version DB and which are not? ➢ Oracle 11.1.0.6 and previous versions，including Oracle 10g. If the accurate PSU is known, you can also check the DBMS_SCN package. For in the highversion,Oracle introduces the features of SCN Compatibility, and which is managed by DBMS_SCN package, so if DBMS_SCN package exists, the database is high version. If the SQL return 1, it proves the DB is a high version, otherwise a low version. For a higher version database, the current SCN Compatibility information can be obtained by calling DBMS_SCN with the following code. If no changes have been made, then the Current SCN compatibility is 1 and AUTO rollover is enabled, the time is 2019, 06/23, and the target is 3. For older databases, we can assume the SCN compatibility is 1. According to the upper limit algorithm of Oracle’s SCN, the upper limit of 16k speed and 96k speed is obviously different. If some of the databases automatically change SCN Compatibility to 3 on 2019/06/23, then the SCN limit of these databases will become 3.5E13 or higher soon, and those have not changed will stay between 1.8E13 and 2E13 for 10 years. Imagine this: the SCN Compatibility = 3 in one database, and SCN abnormal increase due to certain reasons (bugs, manual settings, etc. ), and the value exceeds the SCN ceiling with whose rate is 16k if DB Link communication between two data is required, the mutual SCN will equivalent to the higher one, and then value exceeds the upper limit, DB Link communication will fail. A. The SCN Compatibility between the two databases is inconsistent. C. These two kinds of databases connected through the DBLink. ➢ If the databases are all high-version databases, nothing need to be done. ➢ If the database is mainly a high version and a few low- version databases, then it is highly recommended to upgrade the low-version database to a higher version. ➢ If the databases are all lower versions, there is no rush to upgrade the databases right away. But the issue of adding new versions database in the future should be concerned. ➢ If the databases is mainly a low version, and it is inconvenient to upgrade; or a high version is main, yetlow version databases cannot be upgraded, then it is recommended to set SCN Compatibility=1 for all databases, and close the Auto Rollover function of high version to avoid automatically changing of SCN Compatibility. 1、If you decide to keep the overall environment in the SCN Compatibility=1 after 2019/06/23, you need to disable the SCN Compatibility Auto–Rollover function of the new version of the database before 2019/06/23. Note: the following actions are risky and it is not recommended to do it by yourself. AUTO SCN compatibility rollover is DISABLED!!! 2、If you decide to keep the entire environment in the SCN compatibility=1 state, then you also need to pay attention to the database added after 2019/06/23, it needs to be manually changed to SCN compatibility=1 to alter the default value, this operation needs to be performed in the Mount state, as follows. 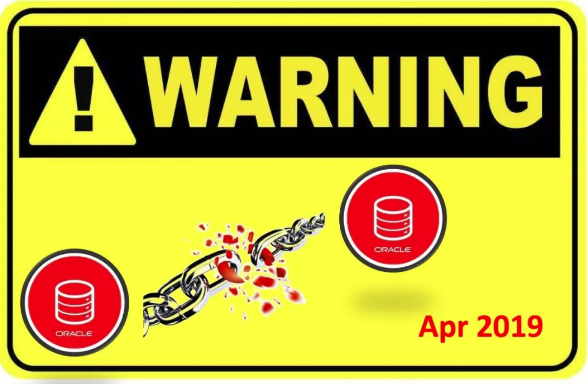 There are two warning articles which were recently released on Oracle‘s official support site My Oracle Support, have caused widespread concern among users of Oracle Database. Different from normal reports or news for oracle users, Oracle point the exact version(11.2.0.3), and specific deadline(before April 2019) for certain Database scenarios（Using DB Links） and operations（Patch）and use the strong word( Mandatory) in the title，make it necessary for oracle users to put it into schedule as the deadline is not so far. How does Oracle trigger this problem after April 2019, how come the exact time point, could it be a time trigger that Oracle laid into the database? now, let us analyze it step by step. which means this document was released with the new version Oracle 18c, and the new features of 18c can lead to major changes of Oracle Internal mechanism. Scope of impact: 12.2.0.1 and later versions are not affected, the 11.2.0.4 and 12.1.0.2 patch sets already contain the necessary fixes, and the released patches are available for versions 11.1.0.7 and 11.2.0.3. 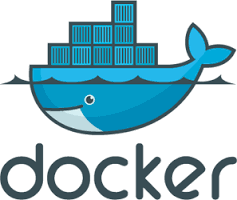 Other versions have no patches and need to be upgraded, otherwise there may be problems when connecting other libraries of lower versions and new versions through DB Link. The patches listed above make the older databases capable of supporting increased SCN soft limit (i.e. support transactions with higher SCN rate) though the increased SCN soft limit only becomes effective later (after April 2019). Simply put，the algorithm of the SCN needs to be altered, the growth rate to be specific. That way, when data is accessed in multi-DB environment through DB link, the lower and higherversions must use the same algorithm to ensure that the DB Link access is working well. You can specify different consistency levels for queries across multiple shards in a shardeddatabase. For example, you might want some queries to avoid the cost of SCN synchronization across shards, and these shards could be globally distributed. Another use case is when you use standbys for replication and slightly stale data is acceptable for cross-shard queries, as the results could be fetched from the primary and its standbys. You can use the initialization parameter MULTISHARD_QUERY_DATA_CONSISTENCY to set different consistency levels when executing multi-shard queries across shards. This feature is currently targeted at the Oracle Sharding database, which means that the cost of SCN synchronization can be avoided in cross-Shard queries. ➢ By further increasing the upper limit of SCN growth rate (above 32K) or use other technique replace synchronization, the previous SCN propagation problems through DB Link can be avoided. ➢ these features will be fully supported in Oracle Database 19th, which would be released in April 2019, and SCN will completely abandon the growth rate of 16K after then. What is the exact minimum patch set we are talking about in this list? After analyzing, we finally confirmed that the BUG is 14121009, for the minimum patch required to be applied by April 2019 has the exactly same version with the BUG 14121009,Such as 11.2.0.3.9, 11.1.0.7.20, and Windows 11.2.0.3 Patch 28, 11.1.0.7 Patch 57. So what key function was introduced in this patch and changed the algorithm of Oracle SCN? From the article we’ve learnt this new feature is SCN compatibility, which has a time limit set in it and requires this patch to be applied. warnning: do not test it in any of your important environment, it may cause you into big trouble. The final key question is, what does this all have to do with time? Our answer is: Oracle sets the time point for each compatibility of the SCN, that means, low-level compatibility will automatically expire in certain time, and all the revised database will beJumped to Compatibility 3 on June 23 2019. Level 3 allows for a higher SCN growth rate, exceed 32K is possible. Therefore, if your old database is not upgraded, the database that connects to Level 3 compatibility may immediately exceed the SCN limit, and the data access may be denied. All this is because Oracle introduced a feature called Auto-RollOver in the kernel, which sets the time for different SCN growth rates and automatically expires. 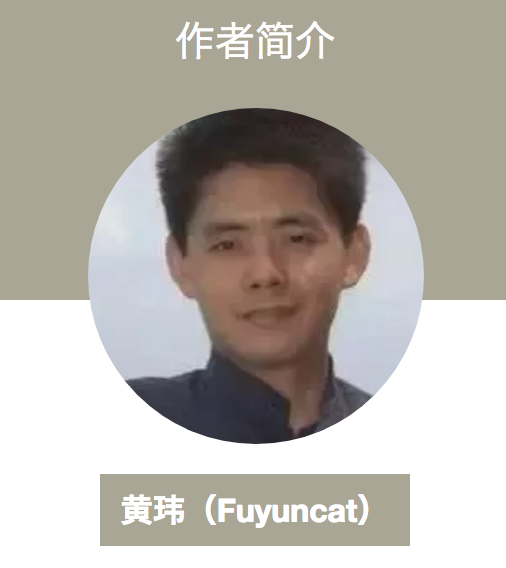 As time goes by, new SCN algorithm will replace the old one yet user known. The reason why Oracle prompts in the warning 2019 April, I think it is to leave the user 84 days of margin. ➢ If I access data between low versions, will it be a problem? No, there will be no problem if there are mutual accesses to the low-level databases that have not been patched; however, problems may arise if there is a data access between the unpatched low-level version and the applied high-level version. ➢ If there is an exchange of visits between the lower version and the higher version, will there be a problem after April 2019? ➢ Why introduce such modifications and patches? Because SCN is Oracle’s core mechanism, the Headroom problem encountered in the past must be eliminated, so the algorithm needs to be adjusted. ➢ Do we need to patch? It does not matter if the database is maintained at a low version or does not communicate with each other through DB Link; Oracle also provides the function of disabling this feature, but does not guarantee that it will not change afterwards; since versions below 11.2.0.4 are unsupported versions, users are highly recommended to upgrade. So what happens if something goes wrong? In MOS document 1393360.1, If the lower version of the database SCN cannot be elevated, then ORA-19706: invalid SCN may be encountered. 2. 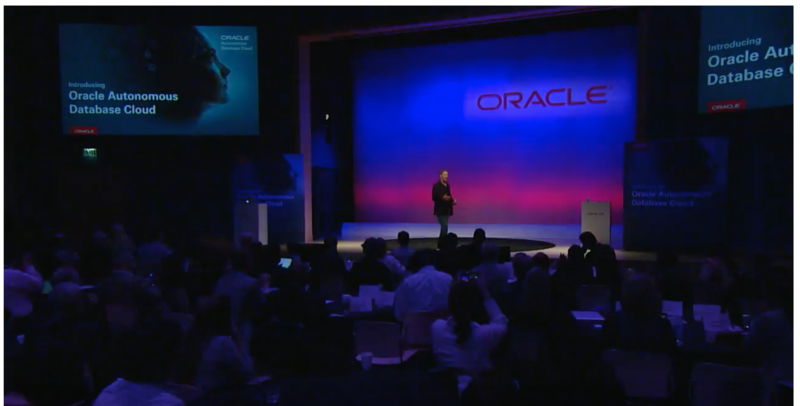 ORACLE 18C: ORACLE 18C.. NEW FEATURES.. WHAT’S NEWS.. The Future of Data Management is Autonomous..! Click the image or the link down below to watch this interesting video about the future and Autonomous. 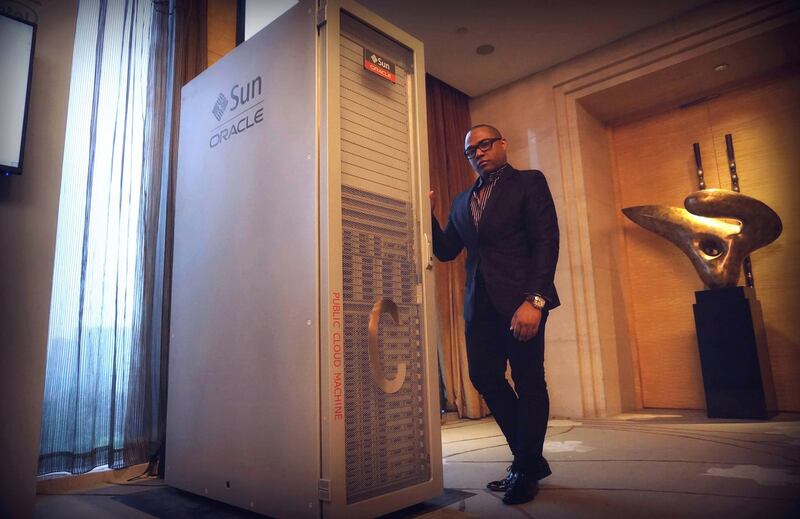 Oracle Database 18c Now Available on Oracle Database Appliance..!! We are happy to announce the availability of Oracle Database 18c on Oracle Database Appliance. This Database Appliance release marks a new and exciting time, giving you the opportunity to start testing and using the new Oracle Database 18c functionality and improvements with your applications. Now let’s take a look at the 18c new features which are important in our opinion. Multiple-Instance Redo Apply (also known as MIRA) now supports BCT (Block Change Tracking) backups. This is an effective incremental backup method large database, and both master and slave are RAC, and the backup happens on the slave this kind of DB environment. One is Standby Nologging for Data Availability, where the commit of a loading operation is delayed until all standby have applied data. One is Standby Nologging for Load Performance. This mode is similar to the previous one, but it will not send data when it encounters the network bottleneck during loading data. This guarantees the loading performance but may lose the data which can be obtained again from primary. Create a shadow tablespaces to provide data protection. With this feature you may not need ADG to provide additional lost write protection. Do you notice that this feature like double write of the MySQL? The original non-CDB can be migrated as a PDB to the existing CDB with this new function. finally, oracle shard could be a pdb. However, it only supports a single pdb in a single cdb. What’s the point? This feature once appeared in the beta version of 12.2 but canceled in the official release. Now it got released again. Note: In 18c, APPROX_COUNT and APPROX_SUM were added to make full use of theAPPROX_RANK. the memory database start support LOB objects. Two new parameters have been added to facilitate the creation of PDBs in an ADG environment. ➢ The other is STANDBY_PDB_SOURCE_FILE_DBLINK, which is used to automatically find the ADG file path when remote clone is used (Note: Before 18c, if you are a local clone, you do not need to copy the data file, but the remote clone requires manual copying). PDB refresh has always been known as the ADG for the poor, this feature is now getting much better in 18c. Switchover is supported. The switchover is divided into two scenarios outside the planned kernel plan. Planed switchover: it can be cut back and used mainly to balance the load of the CDB. Unplanned switchover: mainly for the PDB master failure, do not switch the entire CDB. The pdb snapshot backup carousel, reserves 8 copies and is backed up every 24 hours by default. Note that the new password file path is already in ORACLE_BASE, not ORACLE_HOME. You can use dbca or roohctl -enable to install read only oracle home.Run the orabasehomecommand to check if the current Oracle Home is read-only. If the output of this command is the same as $ORACLE_HOME, Oracle Home is read-write. If the output is ORACLE_BASE/homes/HOME_NAME, Oracle Home is read-only. Supports online consolidation of partitions and the ONLINE keyword is required. The SPA can run in parallel (by default, it is serial), helping you to complete the SPA test faster. this feature evicts the infrequently accessed IM columns out of memory in the situation of memory insufficiency, based on the Heat Map. External tables support IM features. There is a memoptimize pool area in the SGA. The size is set by the MEMOPTIMIZE_POOL_SIZE parameter. When fast lookup is turned on, the memory area can be used for quick search. Memoptimized Rowstore will greatly improve the high-frequency query based on the primary key in the Internet of Things. You can clone pdb based on ASM. Use the flex diskgroup to achieve. We think use the Flex disk groups is great. 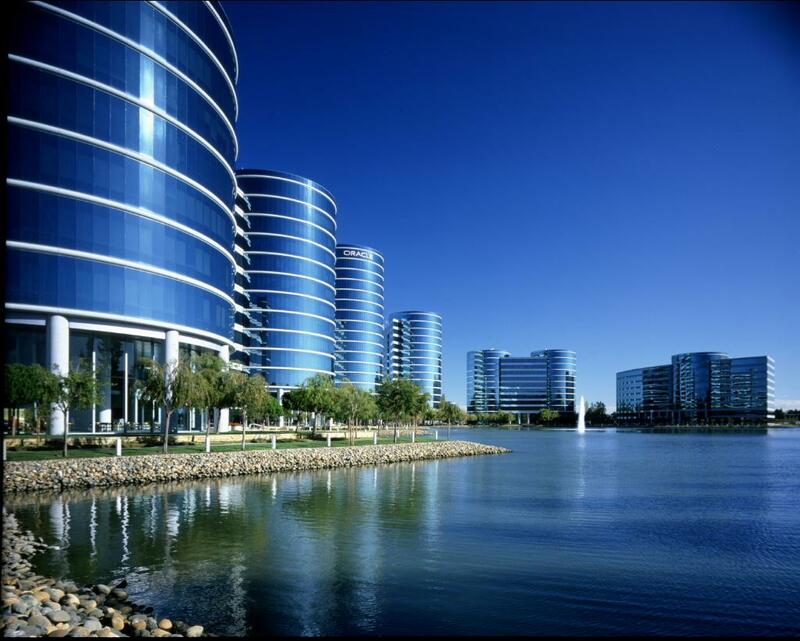 Before 18c, interaction with Oracle Enterprise User Security (EUS) was required. Now, you can use the centrally managed users (CMU) to mappiing the AD users and groups directly with the Oracle users and roles. Finally, it is no longer necessary to grant grants for dbms_lock separately. Until here the article. Thanks for Reading! Oracle 18c Download and New Feature Scalable Sequence..!! 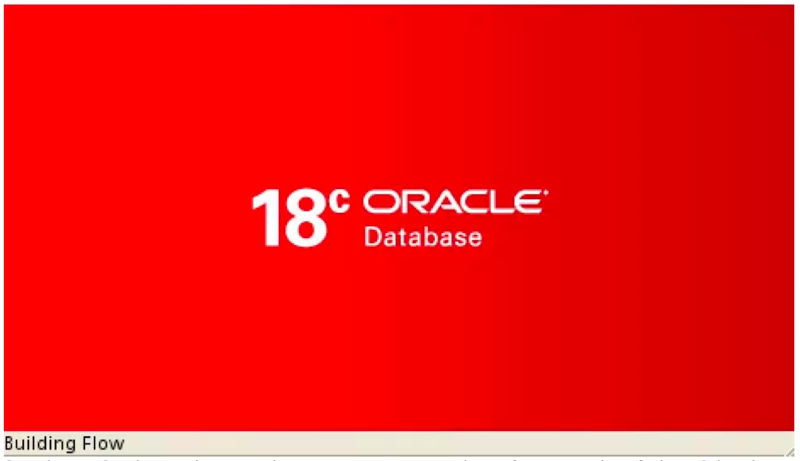 Oracle 18c has released and is currently available for download in the Oracle Edelivery website: https://edelivery.oracle.com. By specifying the SCALE clause in a CREATE SEQUENCE or ALTER SEQUENCE statement, you can make the sequence robustly extensible. How is this feature implemented? What is it to solve? • 6 digit scalable sequence offset number = 3 digit instance offset number || 3 digit session offset number. • The 3 digit instance offset number is generated as [(instance id % 100) + 100]. The 3 digit session offset number is generated as [session id % 1000]. 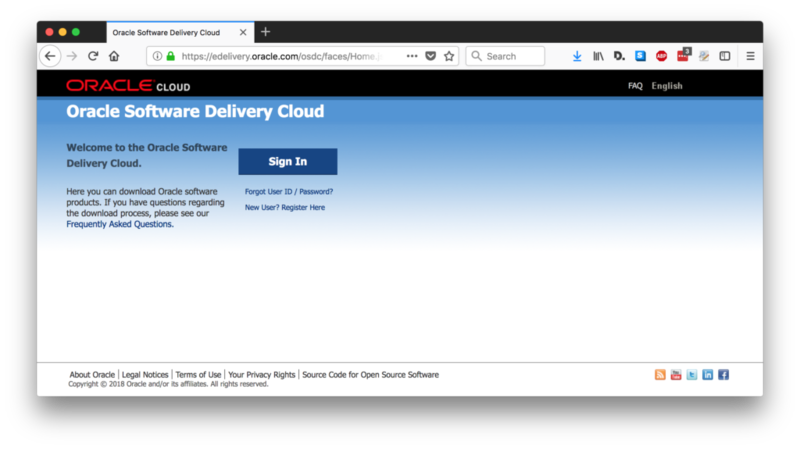 So, this design is exact the same as Andrew’s previous description, which is exactly the guidance from practice that ultimately promoted the progress of Oracle database products. ORA-64603: NEXTVAL cannot be instantiated for ENMO_SEQ. Widen the sequence by 1 digits or alter sequence with SCALE EXTEND. through this sequential, data can be truly dispersed from different instances, and system has got the lower index competition, higher performance and scalable sequence as well. CrashSimulator by Francisco Alvarez is able to provide you with almost 50 different scenarios for CDB and Non-CDB Databases and the best part.. It’s free.. read more about it clicking the image or at the link down below. For reading click the image or the link down below. Databases need to be patched to a minimum before April 2019..!! 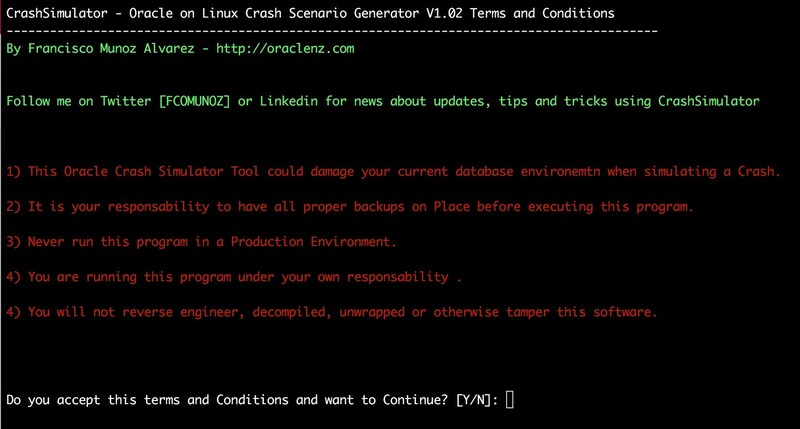 The alert refers to an SCN issue, if you want to know more about it, read this great article written Mike Dietrich ( Master Product Manager – Database Upgrades and Migrations at Oracle Corp. ). 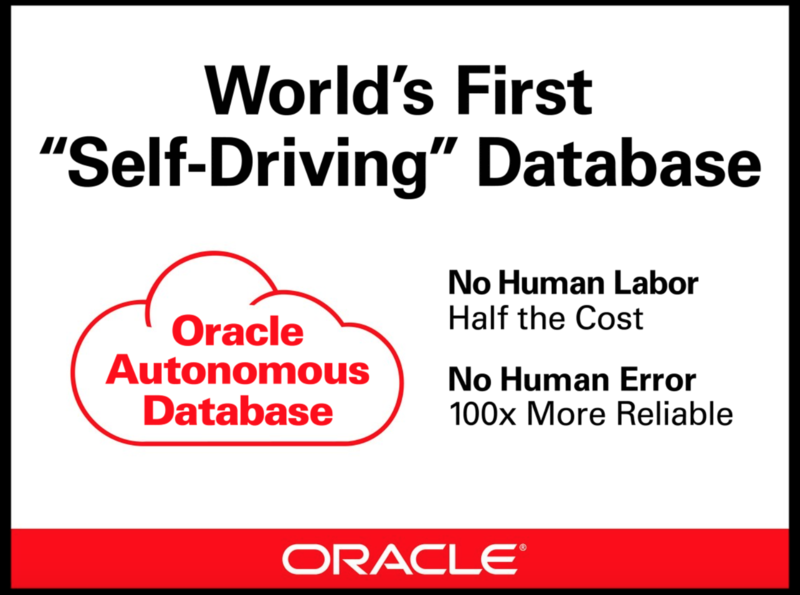 Oracle Autonomous Database: How It Works..! Cloud in a general way is causing a shifting in database technology. It’s that kind of technology that arrived to stay.. so.. do you want to know what are the Oracle Cloud Predictions 2018.. ?. Read this great document about it. For reading click the image or the link down below. If you want to read about some important new changes in Oracle Database 18c, read this great article written by Mike Dietrich. For Reading click the image or the link down below. Most probable you have already experienced how to build a Cloud configuration with releases 11gR2, 12cR1, 12cR2.. have you done it with the new graphical interface and building your database in version 18c, if not.. come and read an article about it written by Francisco Muñoz ( Oracle ACE Director ). For reading click the image or the image down below. Sometimes we have problems merging partitions, if they are being used we get the typical ORA-00054: resource busy.. etc etc.. and we have to apply some other techniques to solve this problem, even causing others.. so.. watch this video done by Connor McDonald and see the how with the new ONLINE clause all this was improved. For watching, click the image or the link down below.